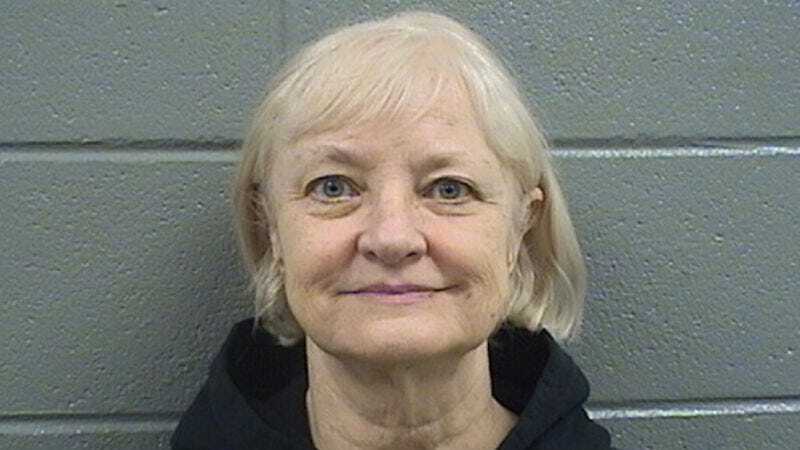 On Thursday, a judge warned 66-year-old Marilyn Hartman against setting foot in Chicago area airports, following an incident earlier this month in which she allegedly snuck onto a London-bound British Airways flight at O’Hare International Airport. Hartman’s had a fairly lengthy history of attempting to stowaway on planes, having been convicted of four related misdemeanors, and it seemed unlikely that something as flimsy as a court order could keep her out. Indeed, on Sunday she was arrested for allegedly showing up at O’Hare once again, having now proven herself one of the brave few on planet Earth who would voluntarily spend time at one of our nation’s most hellish airline hubs. The Chicago Tribune reports that police spotted Hartman at O’Hare early Sunday morning, despite having been warned three times by a judge on Thursday not to go near O’Hare or Chicago Midway International Airport. Police said they were alerted at around 1:30 a.m. that a woman was refusing to leave the airport, and eventually found Hartman in O’Hare’s Terminal 3, where they arrested her and charged her with criminal trespass on state land (a misdemeanor), along with violation of a bail bond. She was ordered held with no bail, and will be back in court on Wednesday. Hartman, who is reportedly homeless and suffers from mental health issues, has a history of slipping past TSA agents and boarding flights, and on January 14 she managed to take a $2,400 flight from O’Hare to the United Kingdom without a ticket. Though the high cost of airfare should, in of itself, be considered a crime, Hartman was hit with a felony charge. It was her first charge of such magnitude, despite undergoing repeated arrests for sneaking onto flights—she even managed to take a Southwest Airlines flight from San Jose, California, to Los Angeles in 2015. Though, of course, sneaking through airport security is never recommended, it’s been two years and several forcibly checked carry-on bags since I’ve taken a flight that wasn’t overbooked, so frankly the fact that Hartman’s managed to make it past TSA agents and find a spare seat is so impressive airlines should consider taking her on as a consultant.